Trust me, you will become obsessed just like I did! After having experience from taking a barre class I can easily say that it is the best form of exercise I have ever practiced. You are forced to push your body to the best shape that it can be and see many great results too. 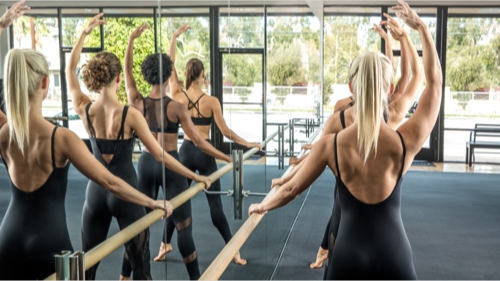 After reading this article you will be able to identify what type of barre class is the best fit for you, know what to expect from a barre class, find out what to wear and learn about memberships and online classes! Barre3 is for people of all shapes and sizes. They do not believe in one-size-fits-all approaches when it comes to exercise. Barre3 focuses on empowering everyone to modify postures and grow body awareness in order to receive lasting results. Through exercising, each client will go through a very deep muscle burn which helps to create stronger muscles. Barre3 mixes athleticism, grace, and the latest methods outlined to balance your body. Each workout that is practiced in the studio will reshape your body and bring many lasting results. "After my first class, I was hooked. Barre3 is not just a fad. This is the only form of exercise that I’ve wanted to stick with since I ended my days as a competitive athlete. I feel unstoppable." Pure Barre is a very fast and effective way to see results in your body. It is a full-body workout that concentrates on the specific areas of the body in which women tend to struggle with: hips, thighs, seat, arms and abdominals. Pure Barre has a very low-impact technique which protects the joints through avoiding any bouncing or jumping. Each strengthening section of the workout is then followed by stretching. Stretching helps to create a muscles that are long and lean without making them appear very bulky. Pure Barre really allows people to block out other distractions for an hour while in class. 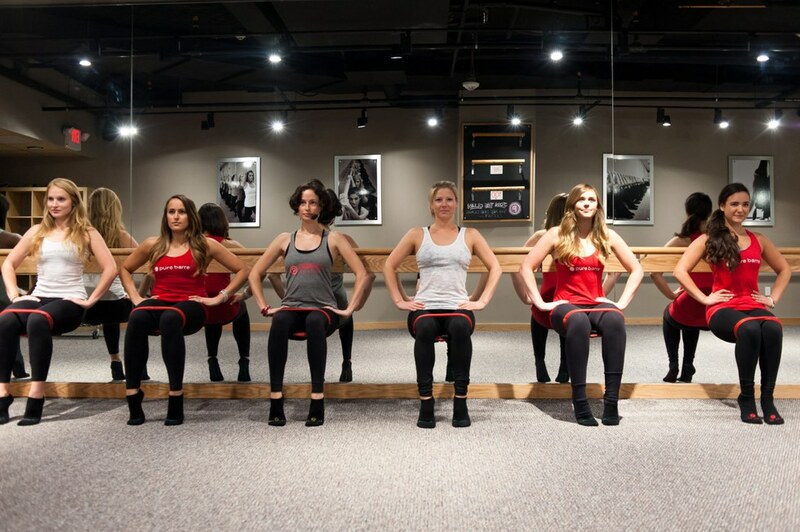 Pure Barre uses concentration that mimics the practice of yoga and meditation which brings many mental benefits. Pure Barre gives people a transformed body and a clear mind in just an hour - it can’t get much better than that. 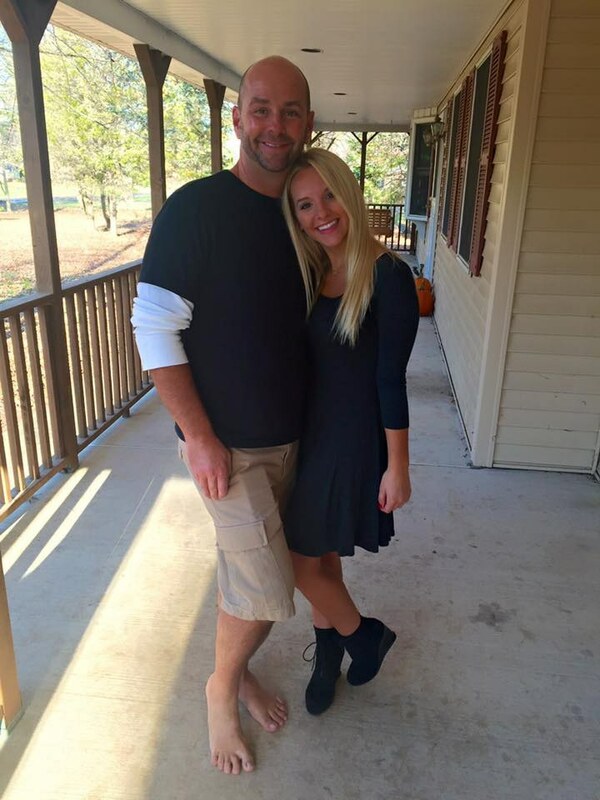 "Since I have joined Pure Barre, the difference in myself has been amazing. Not only do my clothes fit better, but I am physically stronger and my flexibility and even my posture have improved." 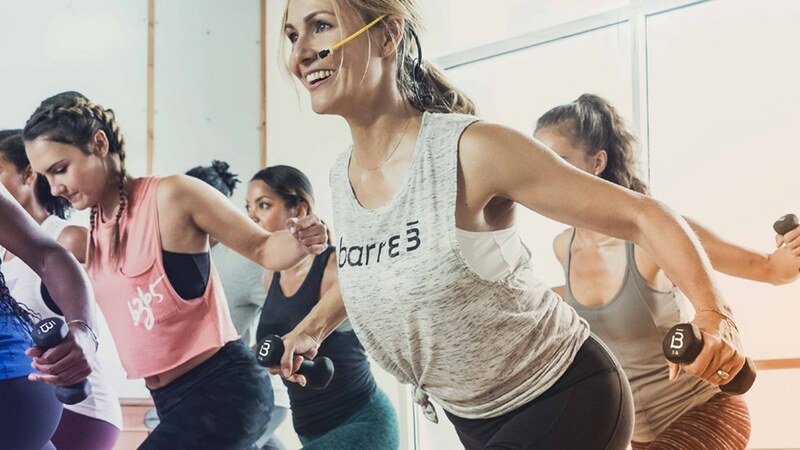 Cardio Barre is a high-energy no-impact class which brings the highest form of cardio compared to all of the other barre classes. This high energy class is practiced without any major movements of the body. Cardio Barre will push each person and will get their heart pumping every class they take. Not only is Cardio Barre about the intense cardio but focuses on correct technique. Having a good technique will prevent you from injuries and will lead you to having better results. The Bar Method classes focus on targeting the muscles in your body that play a role in body change. These muscles continue to work hard in order for them to grow stronger. You are then pushed by working each muscle through stretching to ensure that your muscles change. The Bar Method workouts are very fast-paced and focuses on burning calories not just during class but after too. This style of workout gives a chance for clients to have slimmer bodies after attending classes daily for a few months straight. Not only do you get a great workout at The Bar Method but are taught by teachers that care about their clients. The instructors will take the time to learn everyone's names, get to know their goals, and guide each person towards achieving their end result. Receiving personal attention from your instructor brings confidence and pushes you to reach your goals. At many barre studios you are expected to come prepared. If you have any injuries you are supposed to notify your instructor before class so that they can help to give you accommodations for certain workouts. This is supposed to help you not injure yourself more. Your are also supposed to become prepared by bringing any equipment that you need whether it is a yoga mat, weights or medicine ball. But most important of all make sure to bring a reusable water bottle so that you stay hydrated before, during and after class! There are many stores that have very cute and stylish workout clothes that are perfect for when attending a barre class. Typically at these classes people dress up in very nice workout clothes. I recommend buying nice athletic clothes that you can rearrange with different outfits to get more use out of them. If you are willing to pay a little extra for nice, stylish, well-made athletic wear I recommend shopping at Alo and Athleta. Both of these stores have a great selection of athletic wear to pick from that is very durable. You just have to be willing to be spend more money for a better quality type of athletic wear. If you want nice and fun workout clothes and do not want to spend as much Victoria's Secret Sport has a great variety of clothes to buy from. They are known for having very cute and funky workout pants with crazy patterns. If you want workout clothes that are more simple, good quality and not as pricy, Gap Fit has a very good selection of clothes to choose from. Many Barre classes offer online memberships. Typically you will pay monthly and will be able to have access to online classes. You will have an online account where you are able to go online and take classes with an instructor as if you are in class but even better you are working out right from your home! Online Memberships are great for people that want to workout but do not feel comfortable working out with or infant of other people. It is very beneficial for those who have busier schedules and do not have time to go to a set workout class and want to exercise on their own time. It is even good for when people go on vacation and want to continue to workout and do not have a barre class nearby. 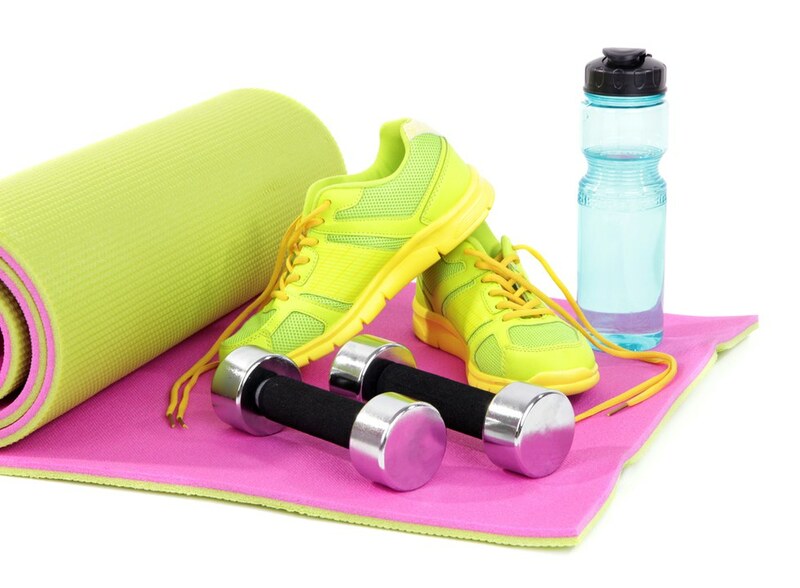 With an online membership they are able to continue to workout while on vacation. Online memberships are even favorable to those who have young kids and are unable to attend a barre class because they do not have someone to watch their children. This way they can workout at home and are still able to keep an eye on their kids.